The floors are in just in time because the barn tours have begun! As of Friday the floors were nailed down. When the Amish builders began to remove the flooring in the middle bay, they uncovered a second floor! Oh, we forgot to mention we have fields too. Before we began the barn renovation we spoke to some experts about what we have to do to improve our soil quality. We made a commitment when we first re-started the bakery to source local ingredients as often as possible. We were so excited when we found a local mill, but we quickly realized that we were paying as much in shipping for our flours as we were for the actual flours. Our goal with our bakery is to make sure that we source high quality ingredients to use in our baked goods as often as possible. For quite some time I've been looking to partner with a local flour mill for all of our flours. I'm excited to share that in all of our crusts and dumplings we will be using a Certified Organic Whole Wheat Pastry Flour and a Natural White Spelt Flour from Small Valley Milling in Halifax, PA. We have tested their flours in our recipes and were so happy with the results. Most people do not realize, but there is a big difference in the quality of flours that you can get from a local mill vs. buying them in bulk. The freshness and the taste of these flours are noticeably better, not to mention the minerals and vitamins that are preserved when they are properly grown and milled. Today it is alarming to see how many people have gluten allergies and its even more alarming the number of people that are suffering from auto-immune disorders. The chemicals in our foods and the way we mass produce grains greatly contribute to reducing the quality of the grains we consume. So we go from having wholesome grains that provide many nutritional benefits to grains that are very hard for our bodies to digest, increase inflammation and create a whole host of other health concerns. This is the main reason we have chosen to purchase our grains through a local mill. We also will offer all of our baked goods with the option to choose Spelt Flour. Although Spelt Flour does contain gluten, it has a higher water solubility, which makes the nutrients available to the body with minimal digestive effort. 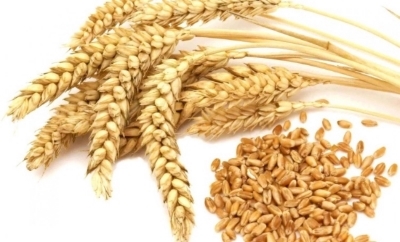 The gluten strength is less than wheat and many people with wheat sensitivities may be able to tolerate spelt. As someone who has suffered with a gluten sensitivity I am very passionate about making sure we educate people on the importance of supporting our local organic farmers and understanding where our foods come from. We are very excited about this partnership and look forward to continuing to bring the customers we serve, good wholesome foods, with only the freshest ingredients.